If you want McLaren Special Operations to convert your “regular” McLaren P1 into something like you see above, the company will charge you approximately £220,000. Not that it matters, but for the price of those body panels and MSO’s time, you could also buy an open top 650S. Worth it? It’s no surprise that selling limited editions like the 675LTs and the 650S Can Ams, or the extreme side of the lineup—which in McLaren’s case is the Ultimate Series with the P1s—is way easier than finding buyers for the standard models. In the long term, that’s hardly ideal, but for now, the market remains absolutely crazy and with all those ridiculously wealthy people out there who want anything but what their neighbor just rolled up in, million dollar cars can find new homes even before the manufacturers officially announce them. When it comes to the P1, MSO was only ever going to build 375 (plus 21 development cars), and since McLaren F1 owners could pre-order theirs, if you happen to be one of those 128 P1 buyers in America, but also somebody not owning an F1, you probably payed more than the sticker price of a million dollars plus some change. You also had to get your car pretty recently, because US deliveries started with Jay Leno’s car just two years ago. But let’s say you’re one of the early birds who had the P1 for more than a year now. Did you get bored of the color scheme already? I guess if you’re not C.J. Wilson, that’s a possibility. Another one is that you saw all those naked carbon Koenigseggs, Bugattis, Paganis and Nobles in front of your favorite restaurant, waiting only for MSO to finally announce something similar. Well, the wait is over. For $305,000, your P1 can be specified with a visible carbon body in almost any color, as long as you also ship it back to Woking. Since the P1's original body panels’ carbon weave patterns weren’t alined, McLaren Special Operations has to strip the whole car, make the fancy panels and paint them with the thinest layer of tint a human can create. 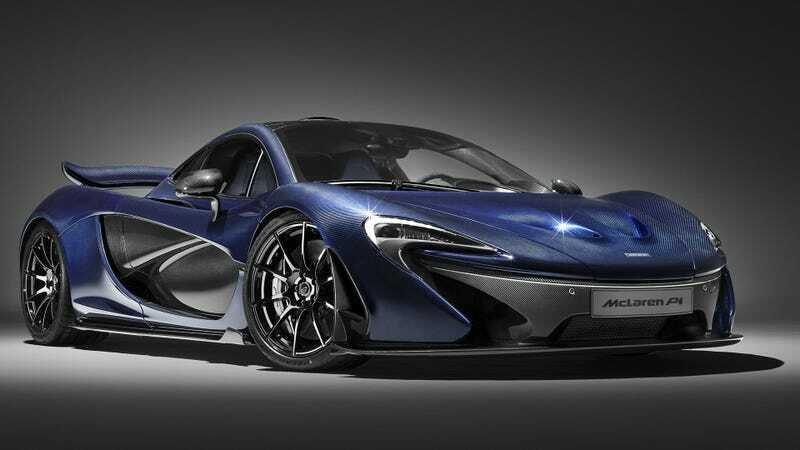 The result is an even more spectacular P1, and a 650S Spider that stays at the dealership, for now. With McLaren’s P1 farewell hitting the stage at Geneva today, one has to wonder what its successor could be. McLaren is sure to be thinking about the same.